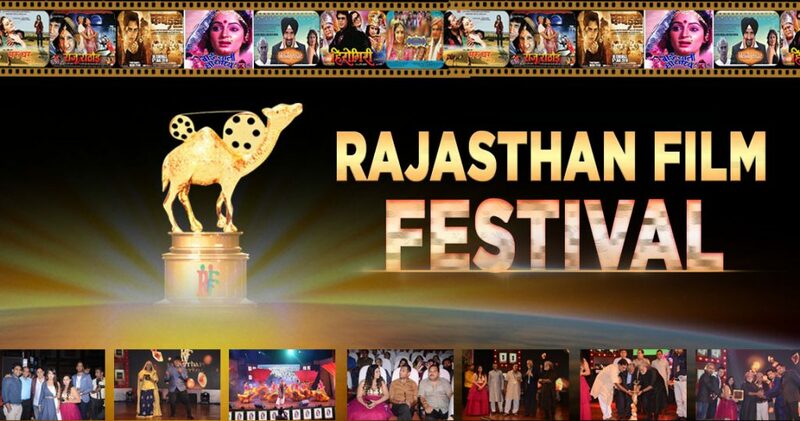 Rajasthan Film Festival (RFF) is the biggest and grand film festival in Jaipur, Rajasthan, India. Rajasthan Film Festivals is Best Flim Festival in India. Kanchan cassettes and the series recognized the notion that regional filmmakers, artists, and technicians should continue their efforts for their best ability and to respect and respect their contribution towards Rajasthani cinema, their link It is necessary to praise hard work and talent. The best way to do this is to reward their efforts. It provides a new and motivated platform to filmmakers, artists, and technicians of Rajasthani cinema so that they can work hard and take Rajasthan cinema to a new level. This event is a wonderful opportunity in itself and there is something that you should not remember in Jaipur at that time, and especially if a movie is found.To support that statement, here are some reasons, which are surely part of the list. We organize programs in Rajasthan, India. Creative film productions are made for Rajasthan film festivals. We conduct award shows, award functions etc. We are the best film festival in India. If you are into indie films, regional films or even are a Bollywood enthusiast, this is a great platform to discover some hidden gems in the world of cinema that are crafted in an exceedingly artistic ecosystem. They may not be the most popular films but are definitely some of the most stirring. RFF aspires to eventually popularise this content and creation of Rajasthani films to a massive extent on a top-notch echelon. Rajasthan has an astounding cultural treasure and one which can be easily uncovered and experienced through this event. RFF aims to promote and popularise Rajasthani culture through the art of celebration and cinema and best film festivals in India.It is the best place for an overall fulfilling experience of Rajasthani ethnicity. You can witness the best of the indigenous folks’ arts through Rajasthani dance, music and culture. All these are the lifelines of this state which are put together and flaunted at RFF. The main reason that RFF came into existence was to promote and support Rajasthani cinema and all the artists, technicians and talent that constitute it. The chief intent is to give due recognition to the emerging and existing members of the industry who keep it up and running in an effortless custom. Therefore, attending this event would show your encouragement and support towards the untiring workforce that crafts Rajasthani films. RFF is magnetized towards the youth and tries to inculcate traditional appreciation in them. Its purpose is to ensure that Rajasthani culture does not perish and instead grows on with the coming generations. It curates entertaining events and activities in colleges, schools, and even malls, hence giving the public and youngsters a taste of what the Rajasthani tradition truly holds and to build up an understanding of the culture in the youth. Some of India’s most prominent personalities from the entertainment industry graced the event with their presence. Hence, this is a wonderful opportunity to interact with erudite entities from the cinematic domain. Even the prospect of just listening to them share their knowledge is a splendid experience.